Cleaning and maintenance supervisors usually work under the direct supervision of building managers or other appropriate administrative staff in positions responsible for the upkeep and maintenance of buildings and other facilities. 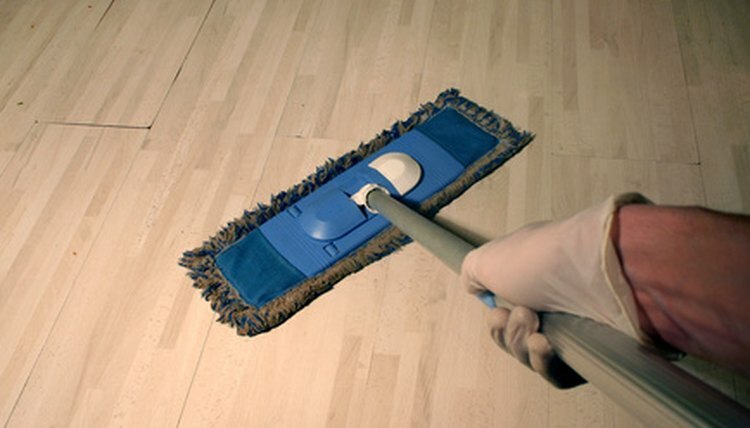 These workers provide janitorial or custodial services related to the cleaning and care of these buildings. Cleaning and maintenance supervisors typically manage other maintenance employees. He assigns jobs, and monitors and inspects progress constantly to ensure that duties are adequately carried out. He keeps routine records like time cards and keeps cleaning supplies in stock. Cleaning and maintenance supervisors carry out inspections of the building, make recommendations for minor renovations and, if approved, coordinate such renovations. He is responsible for operating, inspecting and maintaining the cooling, heating and ventilation systems in every building. Cleaning and maintenance supervisors also maintain the aesthetics of buildings by conducting minor repairs, such as fixing patches in the wall, painting the walls and general landscaping. Building and maintenance supervisors assist in the selection and training of new staff and work on-call by filling in for absent staff. She inspects and coordinates contract jobs on plumbing, electrical and mechanical systems in buildings. She arranges equipment and furniture, including the venue for meetings and conferences. After these meetings, she and her staff clean the venues. Cleaning and maintenance supervisors monitor the activities of contract custodial services, such as floor and window maintenance contracts, and make sure there are no contract violations. If there are any contract violations, the cleaning and maintenance supervisors report to the building managers for appropriate remedies. Building and maintenance supervisors care for restrooms by sanitizing and cleaning urinals, toilets and sinks, and replace tissue, hand soap and other supplies in the restroom. He delivers and picks up supplies and equipment. Building and maintenance supervisors repair furniture, fix light fixtures, unclog drains, polish, sweep, mop, wax and strip floors. He also shampoos and vacuums carpets and rugs, cleans counter tops and desks, empties waste baskets, and washes walls and mirrors. Building and maintenance supervisors replace blinds and shades, and maintain filter systems. The requirement for this position is generally a general education development, or GED, diploma and some experience in general maintenance or other related fields. Knowledge of tools and equipment used in the maintenance of buildings is an advantage as well as familiarity with the equipment and materials used in cleaning and maintenance. E, Jenny. "Responsibilities of a Cleaning & Maintenance Supervisor." , https://careertrend.com/list-6039600-responsibilities-cleaning-maintenance-supervisor.html. 05 July 2017.